Bali Ayung Rafting and Ubud Tour is a Bali Combination Tour packages to enjoy 2 hours rapids challenge at Ayung River Rafting and continue visiting tourist destination in Ubud Village, is an exciting Bali rafting packages tour we offer to you by provide ayung river for the adventure with clean water and amazing view during the rafting and also offer you journey by visiting some tourist destination and and local society daily activities in Ubud Village. You will enjoy the exciting Bali Rafting adventure at Ayung River in north of Ubud Village, during the Rafting you will be accompanied by our professional, excellent and friendly Balinese Rafting Tour guide, and will always your rafting adventure is memorable one during your holiday in Bali islands. All the equipment of Bali Rafting already passed of International standard safety, After finish the white water rafting adventure at ayung river north ubud, you will continue to having with set lunch Indonesian menu at ayung restaurant, After lunch finish we will continue the Bali Rafting and Ubud Tour to visit tourist destination in Ubud Village such as : Ubud Monkey Forest, Ubud Royal Palace and Ubud Market, the tourist destination in Ubud Village are completing your wonderful experience during vacation in this Bali island. Below is the description for the benefit you will have and tourist destination will be visit during Bali Ayung Rafting and Ubud Village Tour. 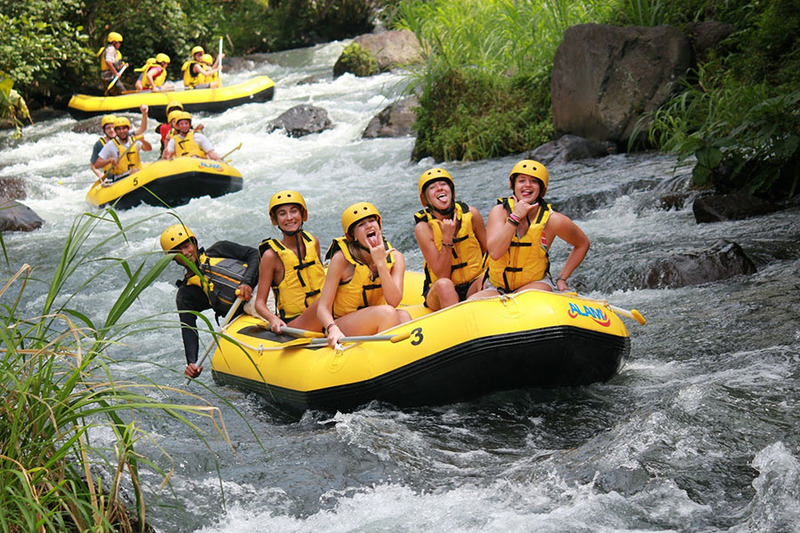 Ayung river rafting adventure is adventurous white water rafting on the Ayung River area located in Ubud, this river is the most popular place for white water rafting adventure. rafting on this river offers a very memorable experience. rapid on the river Ayung is not so big, so it is suitable for beginners who want to feel the thrill of rafting in the island of Bali. 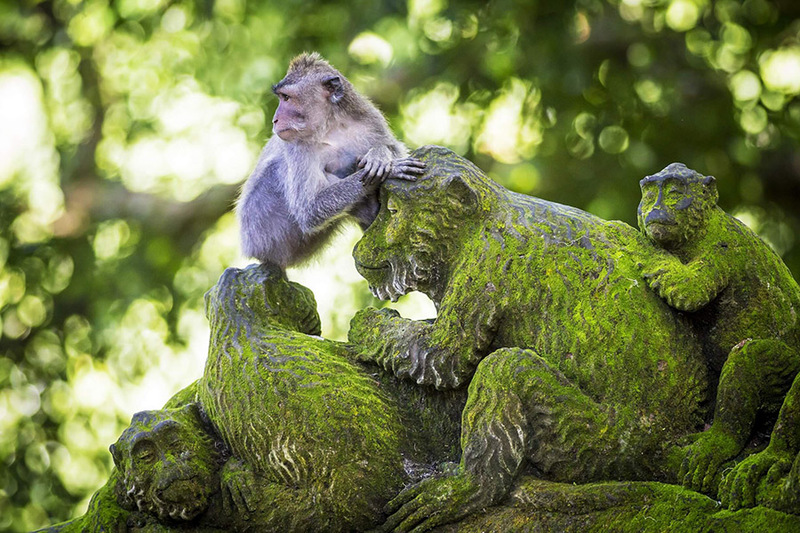 Ubud palace is the home of the king of Ubud days of yore, where it is used as the central government at the time. Although the royal era now gone, but local people still respect and preserve this place. 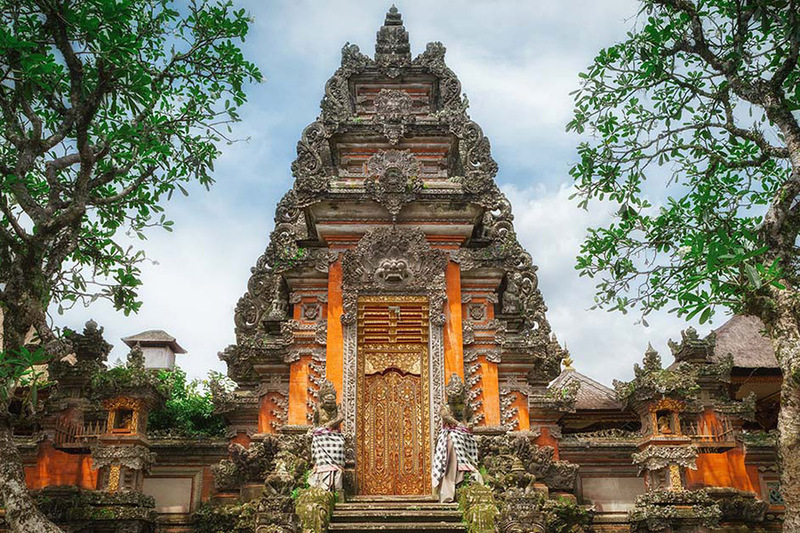 The design of the palace is strong influence by Balinese ornaments and decorations that make it an ideal place to visit. Ubud market is a traditional market located in the village of Ubud, Ubud market as a center of economic transactions in Ubud. located close to Ubud palace. 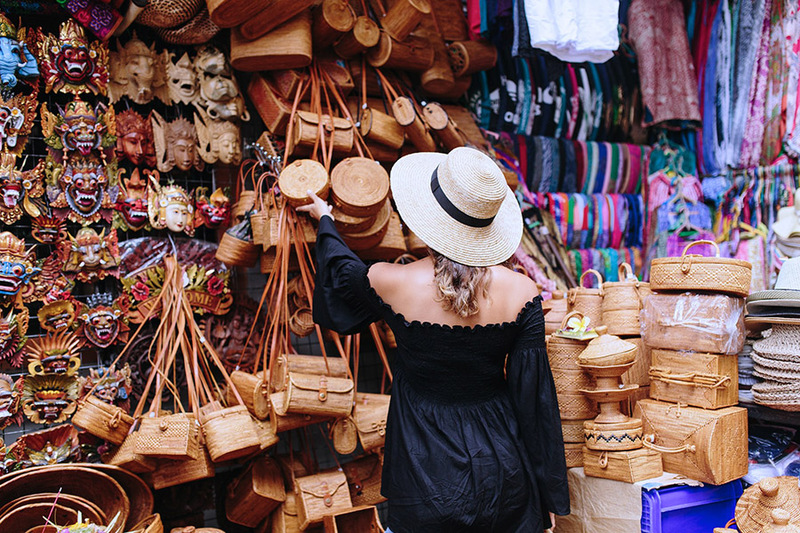 Ubud Art Market is the traditional Ubud markets have two sections: one for the tourists which sell various handy craft and one for the everyday needs of the locals people in this village.